I trusted past reviews, saying it was a peaceful place. Well, it’s right at the feet of the highway, silly me I didn’t check the location before. So it is extremely noisy with traffic 24/7. The hostel had nothing to be noticed of, pretty dead atmosphere, I think I was the only guest actually. Location was not attractive at all. The room was ok, shower pressure was a bit funny, the carpet at the toilet feet hadn’t been washed for months I believe. Thin blankets are not what I prefer but what to do. The lady at the reception (the young one) was not friendly, just very formal, not pleasant, not talkative. Anyway I’m glad I’ve now found a much better place for the same price. The place bit far from bts but comfy and the staff really friendly and helpful. Room is clean..
For a hostel, this place was pretty clean and had good vibes. The staff was very friendly and helpful. However, the price and location were disappointing. Not worth staying in a private room. Maybe it would be better in a shared room but the location is still not the best. Staff was really really kind!!! The place was neat, clean,cozy. It's a bit difficult to find here from Nana station. (Hostel sent a e-mail with the way how to get there from 2 different BTS, Taxi in detail) Even this hotel is located near nana station, it wasn't noise at all..quiet place for sure. If I am going bangkok again, I would like to stay here. 여기 오너분이 한국어를 공부하셔서 그런지 한국 사람들한테 상당히 우호적입니다. 열쇠도 모두 한국제품인 도어락을 설치하셔서 편했어요. 나나 역에서 조금 멀어서 소음에 민감한 저도 잘 잤어요. 깨끗하고 잘 정돈되어 있어서 다음에 가도 또 머물거 같아요. Tucked away at the end of a soi off Soi 4 in Sukhumvit sits the family run WH hostel. 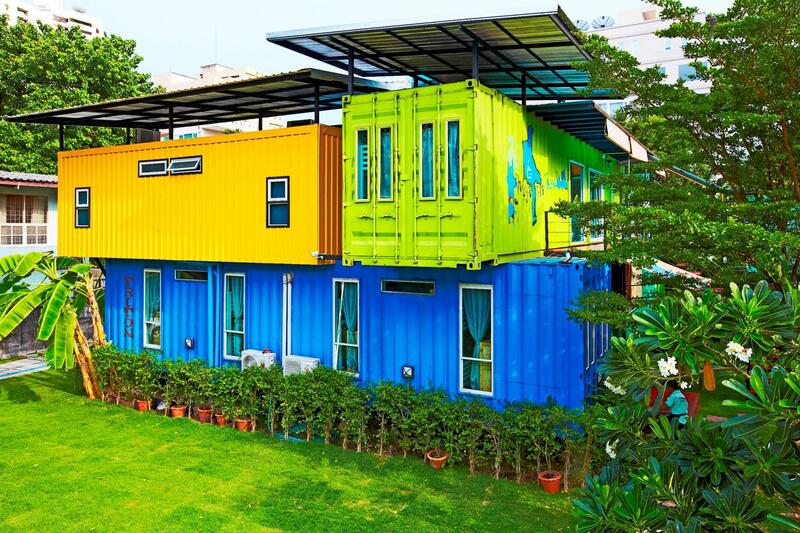 The rooms are converted shipping containers situated in a garden (as it's a garden there are mosquitos so beware). 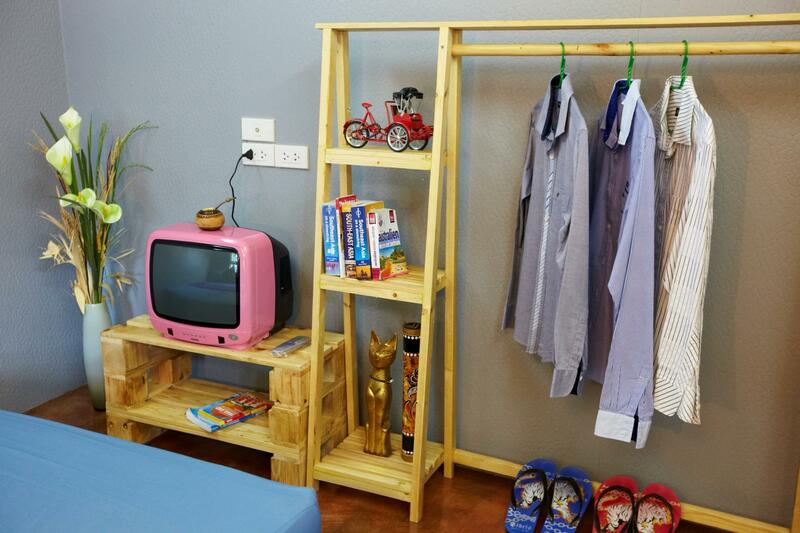 The hostel is run by a charming kind Thai family. I had a 'Classic Garden View' room that was very clean with adequate space and a shower room/toilet with very effective AC and the WiFi worked great. It is about twelve minutes walk to Nana BTS so very convenient but nicely away from all the noise. Extremely safe and secure with everything you need nearby. I stayed almost three weeks and loved my time here and will certainly return and therefore I can fully recommend. The sense of safety and security is a real plus particularly for solo travellers. This is a great budget option to sleep off jetlag. Unusual concept to sleep in half a shipping container so I had to give it a shot. The room was delightfully charming and everything was new and worked well. Aircon was great! Bed was clean and comfortable. Staff was very friendly and the basic breakfast of toast and coffee hit the spot. If your flight lands during the check in time, its a perfect place to sleep off the jetlag for a couple of days and get ready for the next leg of your trip. At first I was hesitant to choose this hostel since it's in Nana area, which is red light street & I would be there alone. However, once I saw the place, greeted by the staff & got in the room, I felt completely good about the place & this area is no longer a problem for me. Totally will recommend others to stay here.